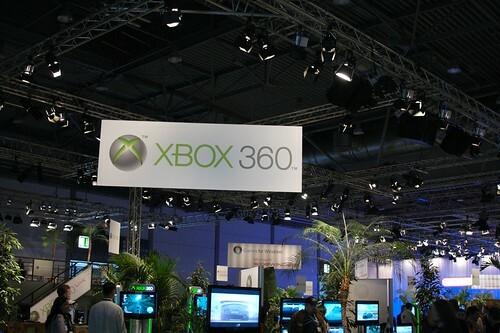 Looks like Microsoft couldn’t hold it for much longer and already released some information about the Xbox 360. The Xbox 360 which was previously equipped with a 20 GByte harddrive now comeswith a 60 GByte drive at the same price of 349 US-Dollars. The old model will be around while it’s still available for 50 USD less. For the German people over here I’d say the same will apply to the model that is sold here for around 270 Euros. Maybe the premature release means that Microsoft wanted to get it out of the way for the real things on the show. A good place to watch for news is, as usual, Major Nelson. He’s got a Twitter and FriendFeed account to keep you posted. Live streaming of the press conferences at E3 will be available by G4TV and GameSpot. For those of you who want to have a sneak peek at the games people can’t wait for, here are some links to make you happy. E3 will be an interesting event for everyone following the games business. And the next event, the Games Convention 2008 in Leipzig, Germany, taking place from August 21st to 24th, is right around the corner. Previous PostPrevious Zombies – Now for everyone!